Weight loss is a challenging journey, regardless of how many pounds you're looking to shed. If you’re unsatisfied with your current body and want to create long-term changes for the better, our doctors can help you slim down in a safe, supervised way. 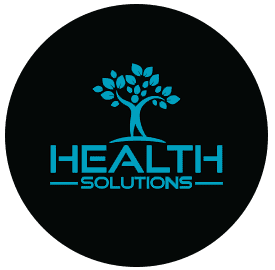 As an established medical weight loss center in Wellington, Florida, Health Solutions offers the tools, resources, and support for you to lose weight safely and easily. If you can’t seem to shed unwanted pounds, you’re not alone. Many people struggle with weight gain, especially as they age, during times of stress, or because of a lack of time for exercise or healthy eating. You might also feel like you’re doing everything right, but still can’t lose the weight. There’s rarely one reason you can’t lose weight: Genetics, lifestyle, diet, hormones, exercise habits, and underlying health problems can all play a role. Fad diets or exercise programs can’t address medical or lifestyle factors that may hinder your weight loss, and it’s common to gain the weight back after you’ve stopped the diet. At Health Solutions, your physician identifies which unique factors are keeping you from the body you want. Together, you design a weight loss program that’s tailored perfectly for you. Your weight loss plan starts with a comprehensive health screening. That helps your physician create a personalized food plan and physical activity recommendations. Since the program is unique to you, it provides you with nutritional support that addresses your goals and needs. Our providers offer options like the HCG diet and Metagenics supplements. Most people follow a low glycemic diet that focuses on whole, plant-based foods. The Metagenics FirstLine Therapy® program helps you create the foundation of a healthy life with nutritional guidance, an exercise plan, stress management techniques, and behavior modification tools. As part of your weight loss program, your Health Solutions team gives you the structure to utilize this program along with your dietary changes. With constant check-ins and medical assistance, you can be sure your weight loss happens quickly and safely. Your Health Solutions physician is always there to help modify your program if you have setbacks or need extra help. When you come to Health Solutions, you receive a medically supervised program designed specifically for you. With personalized attention and a completely customized plan, you can establish lifestyle changes that contribute to your long-term success. If you’re ready to take the first step toward improving your health, call or visit the Health Solutions weight loss center today.